I have not been using this like a proper blog, and I’m sorry. I’ll try to do better, but I don’t know whether I will. It’s no replacement for my LJ because it doesn’t provide conversation, and without that it feels like whistling into the wind. I’m delighted to note here that An Informal History of the Hugos (Tor, 2019) is, somewhat recursively, nominated for a Hugo in the category of Best Related Work. In the book, I discuss this weird grab bag of a category — I said it was recursive! — and I call it Best Related Thingy. It’s not an award for best non-fiction, no, that would make sense. It’s an award for related stuff. It’s an honour to be nominated, and I’m thrilled. This is my second Hugo nomination. My aunt, when I was telling her about this honour, thought that I had written a book called History of Hugs, which… well, that would be an interesting book too, though perhaps hard to research. And on that note, I leave you with a hug. It’s part of Fra Angelico’s Day of Judgement, the only Day of Judgement I’ve ever seen that makes the Heaven part as interesting as the Hell part. 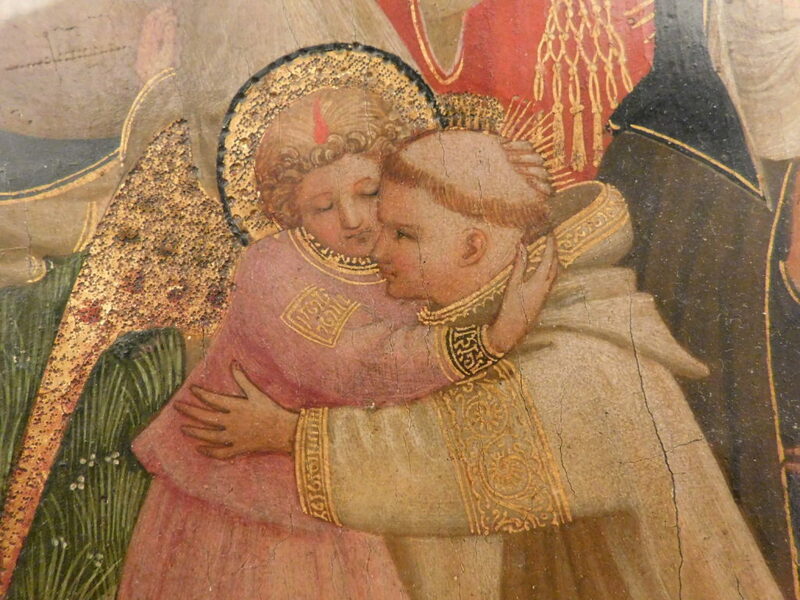 This is a monk and an angel chastely hugging in the Earthly Paradise. The original is in San Marco in Florence, and of course that makes this a Lent related post too. Lent will be out on May 28th!